As we’re all well aware by now, things have changed. No longer do brands have the power over the market place, the consumers do; consumers are no longer influenced directly by the brands themselves, but by the people endorsing them. But for every problem there’s a solution. In this case the solution has been influencer marketing – reaching your target audience through the people that they know, love, trust and whose opinion influences their decisions. The ultimate aim of the game is as ever, to increase sales. But what we’re too often seeing, are brands treating influencers no differently to how they treat digital ad space, or a billboard; as an opportunity to pay their way in front of their target customers’ eyeballs. News flash – THIS IS ADVERTISING. Why would you morph the solution to the demise of advertising, into a replica of advertising, just through a different medium? Consumers wised up to traditional advertising, and they’re beginning to wise up to influencer advertising too. So let’s start treating influencer marketing for what it is – as an opportunity to build real, long term relationships and alliances with those that influence the marketplace and your target audience. 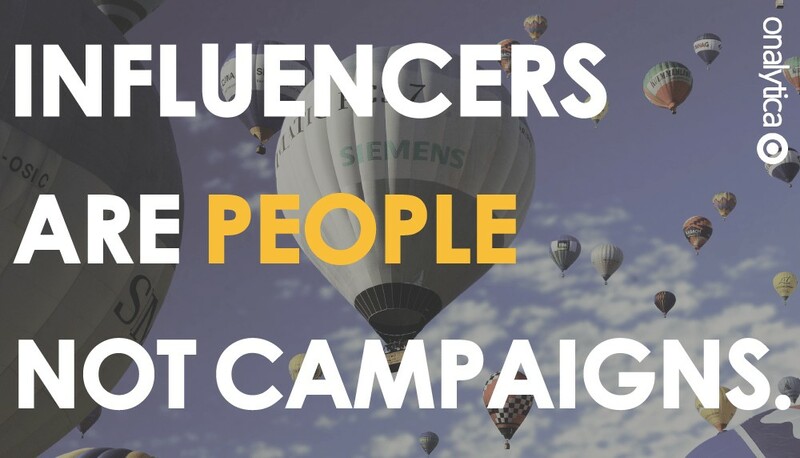 To achieve real, long term results from influencer marketing, the first step is to stop treating influencers like campaigns and start treating them as people with real value to offer. Read on for 6 tips. If you insist on treating your influencers like campaigns, then guess what – they’ll act like campaigns. If you follow the transactional route of giving your influencers a rigid content brief for a cold exchange of cash then they’re not going to invest in the content or your brand. They’ll get the job done, get out, and go onto the next paid job. And with such little brand loyalty, what’s stopping them endorsing your competitor next? Wouldn’t it be great if your influencers don’t work for you, but instead work with you, and are excited to do so; working together to come up with a collaboration of some sort that will excite both of your target audiences and have an impact on the industry. Ensure that they care about your brand by showing them that you care about them. Creating an equal value proposition that deters disasters like this from happening. Put yourself in the influencer’s target audience’s shoes – why would you follow this influencer? Influencers are influential because their followers trust and enjoy their content; they feel some kind of connection with the influencer. If you understand why their followers are following them and the value that they deliver to their audience, you can help them continue to deliver this value by working together on content that their audience would actually like to see. After all, why wouldn’t you want to provide the target audience you’re wanting to reach with valuable content? You have to ask yourself – is the generation that installs ad blockers on their laptops and fast forwards through TV ads on their pre-recorded programs going to enjoy an Instagram page full of product endorsements? In helping the influencer create value for their audience, you’re showing you care about the influencer. 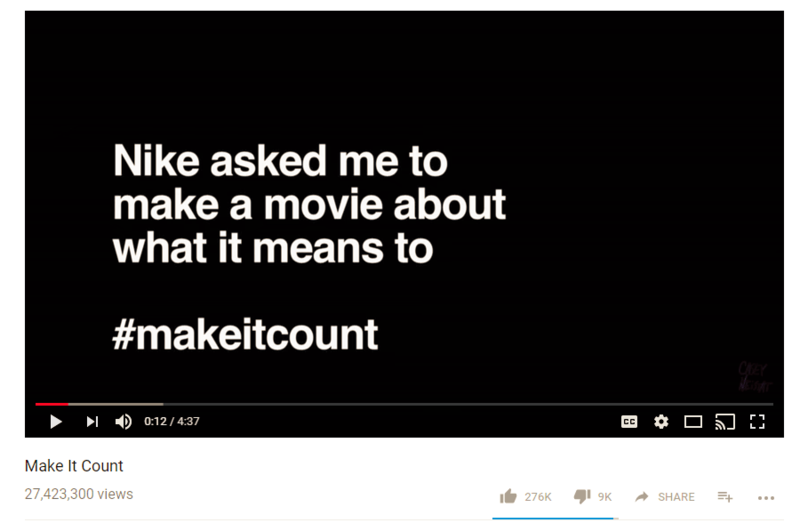 A great example of this is Nike’s collaboration with Casey Neistat. Casey Neistat is a well-known creative filmmaker on YouTube. Nike understood that a standard product placement wasn’t quite going to quite hit the mark on creating value and something worth watching for his audience. What Nike did instead, was pay for Casey to travel the world, showcasing how Nike’s fuel band can help people live their life to the fullest. They utilised Casey’s skill set, facilitated Casey to produce some familiar content that his audience would love all while showcasing the product – they recognised why he is influential; why his followers follow him, and they helped him grow and achieve 28 million views to date. Obsessing over numbers and prioritising an influencer’s follower numbers is too much of a short term campaign mind-set. Of course you want to ensure that you’re going to have some exposure and reach new people, but you want to reach the right people and in the right way. 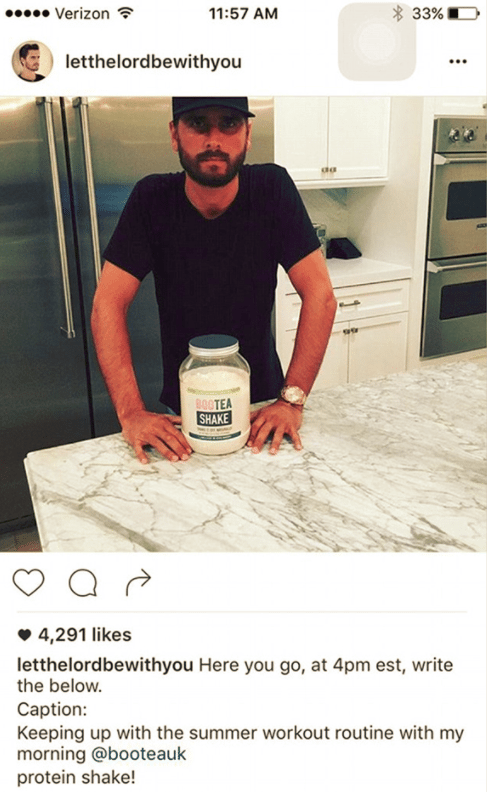 An influencer may have 500k followers on Instagram, but how many of those people are relevant and likely to be interested in your product? Instead identify influencers that are extremely relevant to your brand and its target audience, whose content you can effectively collaborate on, adding value to both your audiences. 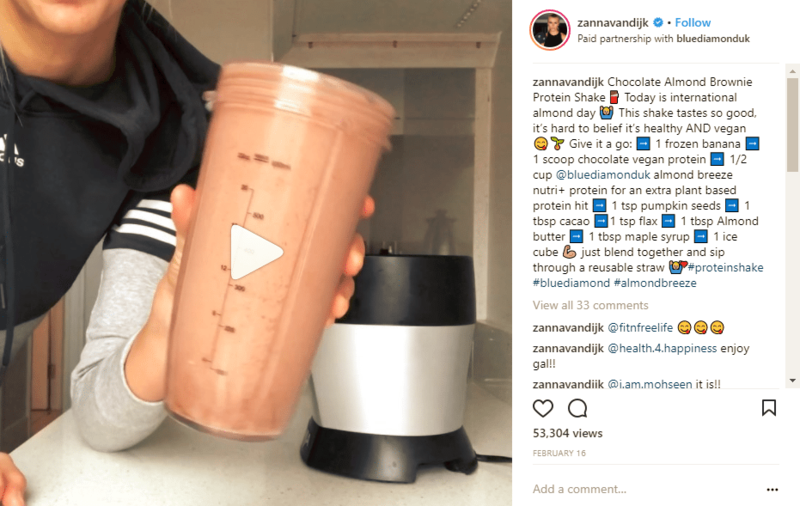 A great example of a well aligned influencer and brand collaboration that has struck the right balance between reach and relevancy is between a Fitness blogger with 215k Instagram followers, Zanna Van Dijk and Blue Diamond Almond milk. In this Instagram video, Zanna shares a vegan chocolate protein shake recipe. This video does not look out of place on Zanna’s page, nor does it scream #ad. 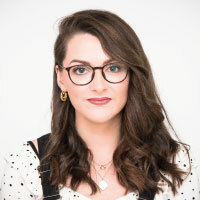 Zanna is providing her audience with the usual kind of content and products that her followers love, while giving Blue Diamond access to her (relevant) audience. She is also producing regular recipe videos as part of a longer term partnership with Blue Diamond. Influencer Marketing isn’t about just knowing who the right people are, it’s about actually knowing them. Getting to know the influencers takes time and dedication, but it results in a far more authentic influencer and brand relationship. A great way of achieving this is to build relationships with influencers through internal employee advocates and evangelists that are slightly detached from the brand, but well aligned to the influencer. 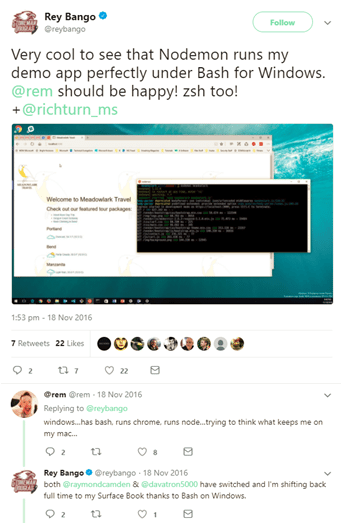 A great example of this is Microsoft’s developer relations program, where internal Microsoft technical evangelists are building relationships with influential developers in the industry. Many influencers make their living through being influential, so require some financial compensation in return for their time. But there is a huge difference between paying an influencer for their time and paying them for their positive sentiment. Influencer marketing is a great alternative to traditional advertising because it leverages the trust that target audiences have in people. Influencers are in the position they’re in because their target audience value their opinion, but if their opinion is paid for, does the value remain? Having this mind-set in which you just amplify your brand message through your influencers is simply treating influencers as a campaign medium in which you can capitalise on their follower numbers. Your industry influencers are people that can come up with their own, authentic opinions of your brands if you give them the chance. Build relationships, give them access to your product/brand and let them come up with a positive opinion in which they can voluntarily share with their audience. Below is a great example of an industry influencer coming to and broadcasting their own opinion of VMware. VMware hosted an event in which they invited influencers, and hosted an influencer-led Crowd Chat. VMware wanted to establish their brand as being innovative and forward thinking, and they managed to embed this opinion into their influencers at the event. True influencer marketing thrives off of real relationships; it is at its best when executed as a long term holistic strategy. Expecting long term results with short term investment with influencer marketing is like doing one workout and expecting to wake up with a six pack. Relationships take time and commitment to build, and so influencer marketing should not be done half-heartedly. One off influencer posts may not even be effective in prompting their audience to buy first time. What if it takes 2, 3 or even 4 posts to get them over the line? Those that aren’t willing or able to put in the leg work will not reap the full rewards of what influencer marketing has to offer. A great B2C example of this, is the social media influencer army that Gymshark have built. They have built relationships and slowly got more and more fitness influencers on board to share their workout pictures and videos wearing their workout gear. Unlike many other consumer brands, they have favoured long term brand and influencer alliances over one off social media posts. They’ve created dedicated social media pages in which the influencers share their workout videos – the influencers benefit from free products and exposure, and Gymshark’s audience benefit from relevant and educational content. If you’re looking to build authentic, long term relationships with influencers, get in touch by clicking the button below to learn how our influencer relationship management software can help.